The New Beauty Brand You Need in Your Makeup Bag. 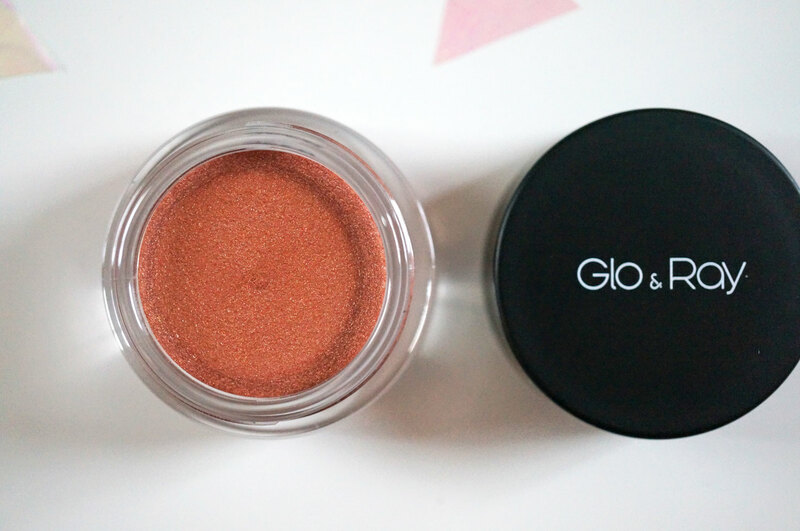 You may have seen my Glo & Ray Shimmer Shimmer Lip Colour Set review the other day, which I completely raved about. Now I have some more of their products to share with you. I’m beyond impressed with all of these products, especially considering the packaging and the price point. Read on to find out what I thought! The revolutionary Multi Silky-Wax ComplexTM provides a seamlessly silky texture. A simple touch creates a misty mirage effect with a hint of shimmer. I’ve never tried a mousse eyeshadow before so I’m afraid I have nothing to compare this to! 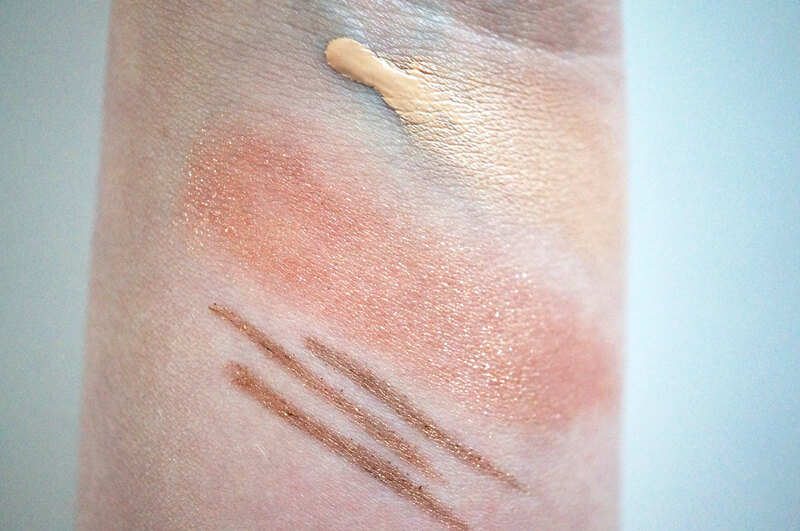 The closest I can think of is Maybelline’s Color Tattoo eyeshadows, but they are more of a cream, and this is a mousse! I can tell you though that it has a super silky and smooth texture that’s a dream to use. 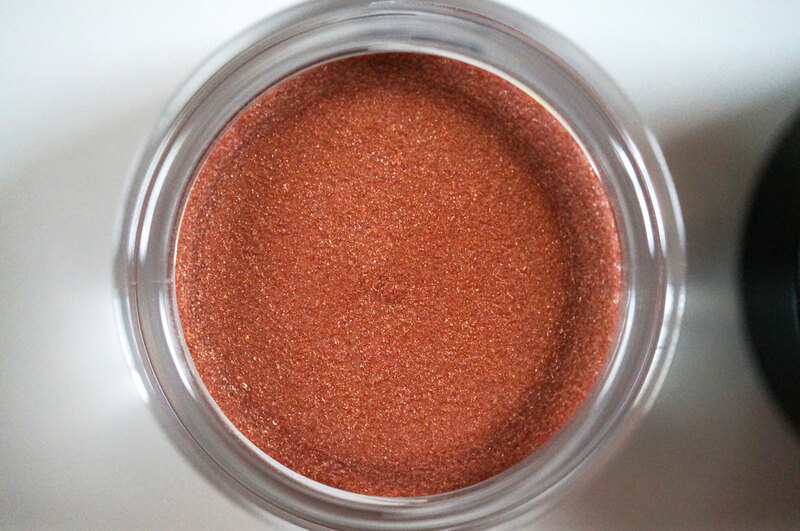 I’ve been applying this with my fingers and I’m totally in love with this Tawny Dust shade. The finish is sheer and sparkly and pretty, and it looks amazing on blue eyes! Extraordinary soft and smooth glide achieves the perfect eyeliner with just one single strike. Ultra-adhesion formula technology makes the shades rich and intense, especially suitable for dramatic eyelines. Waterproof and budgeproof formula technology makes the eyelines long lasting and smudge-free. 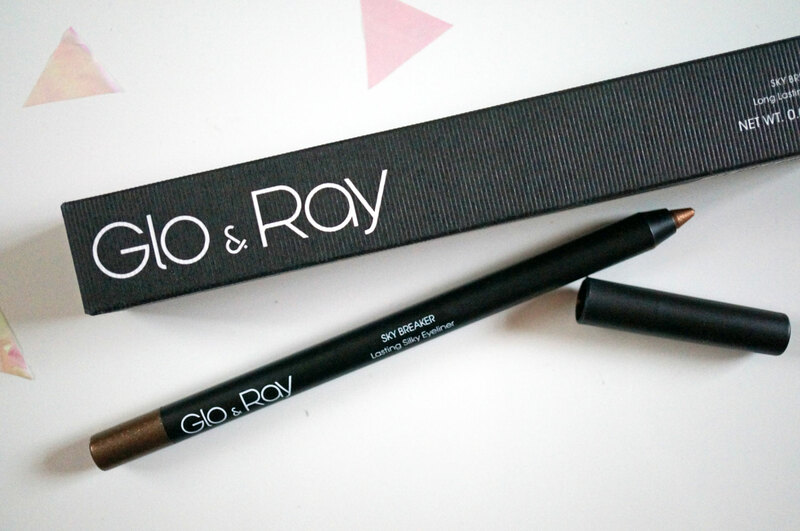 You know I’m a massive eyeliner fan, if I was stuck on a desert island it would be the one beauty product I took with me, and I have to say its likely it would be a Glo & Ray eyeliner. After trying this product out for a few days I really cannot fault it. 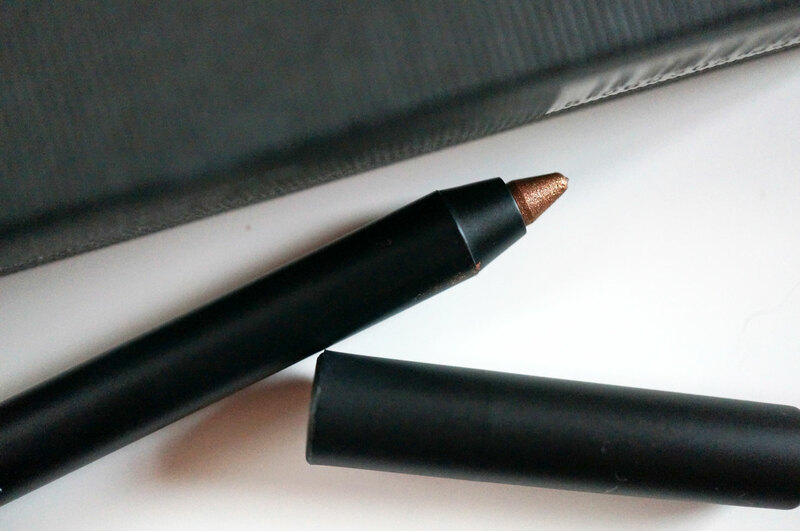 It’s amazingly pigmented, and the shade I have gives a lovely shimmery finish. I had no problems with smudging or it moving over my face. With the innovative Water in Smoothie Gel Emulsion System, this CC Foundation offers a velvety touch with long-wear perfection. Just a small amount can instantly create a flawless foundation. The Micro-Shine Particle disguises pores and naturally brightens the skintone. Designed with high performance, this CC Foundation covers blemishes and luminates the skin with porcelain-like glow. This is a medium coverage foundation that does what it says on the tin. You don’t need much product to cover a full face and it definitely brightened my skin tone. The coverage lasted all day with no problems. 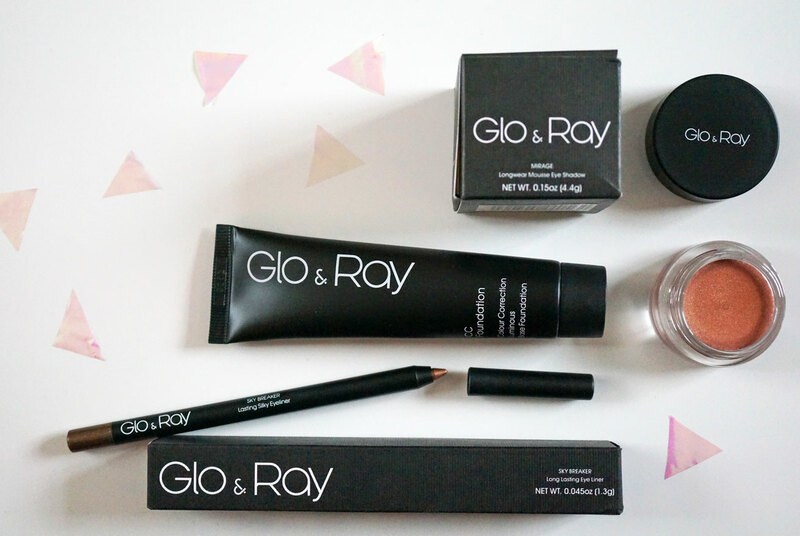 I also need to point out how amazing Glo & Ray’s packaging is. The eyeshadow and eyeliner are both boxed, the cardboard is matte black and has a premium feel that makes me think of NARS. I can’t tell you how impressed I am with all of these products, and when you look at the packaging and then see the prices, it really is amazing! £5.50 for a fantastic, premium boxed eyeliner! 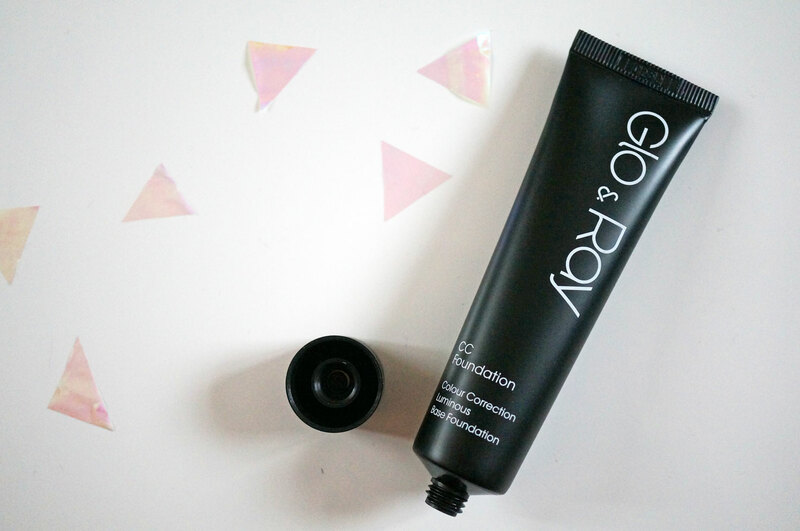 Glo & Ray are fast becoming one of my favourite cosmetic brands, I’d highly recommend you try their products out!